SPONSORED Few technologies have forced their way into enterprise IT strategies with such efficiency as All-Flash Arrays (AFAs) in the process pushing aside two decades of established SAS and SATA hard disk drive technology. In the last two years the acceptance of all flash arrays for mixed workload environments has accelerated. It is no longer viewed as an expensive high-performance layer. When flash technology first began to gain traction in the enterprise market there were more than 80 different start-ups developing Flash SSD technologies for internal server based and external array based storage solutions. Few of these companies got as far as developing production technology and fewer still had their technology installed in All-Flash Arrays. It is clear that the AFA market requires scale, deep R&D pockets and a clear technical roadmap such as that provided by Huawei. As the flash market has moved through first, second, third and fourth generation solutions, we have arrived at SSD native products for the enterprise. First generation system designs focused on how to utilize the high performance of SSD with the substantial increase in IOPS and bandwidth coupled with sizable decrease in latency. The systems did not incorporate any enterprise-class features and relied solely on the host side to provide data protection. For a brief moment around five years ago hybrid arrays – comprising terabytes of 10000 or 15000 RPM disks with 5 or 10 per cent flash drive capacity to provide latency performance for speed hungry apps such as automated trading - looked like they would become the standard platform for enterprise deployments. But the limitations of hybrid arrays could not be overcome. They were capital intensive and expensive to operate which meant the market was restricted to those that could deploy at scale in environments such as high frequency trading rooms in global investment banks. The hybrid solutions usually saw SSDs forced into a conventional HDD architectural design which meant the full performance potential of flash remained untapped. The third generation of flash was essentially optimised SSD technology in architectures with the emphasis still on performance. However reliability remained an issue and enterprises did not warm to the added complexity being offered. The move into the mainstream came with the fourth generation of All-Flash Arrays comprising SSD native designs where there is no trade-off between performance and reliability and with the previously demonstrated advances in efficiency. Each generation saw improvements and innovations in data protection and resilience and enterprises now have confidence in the all flash option thanks in no small part to the fourth generation standards. The fourth generation of All-Flash Arrays featured SSD native designs and optimizations. This generation took 1 ms latency as the baseline, arriving at the perfect balance in performance and storage efficiency while aiming for zero drop in processing metrics when deduplication and compression features are enabled. 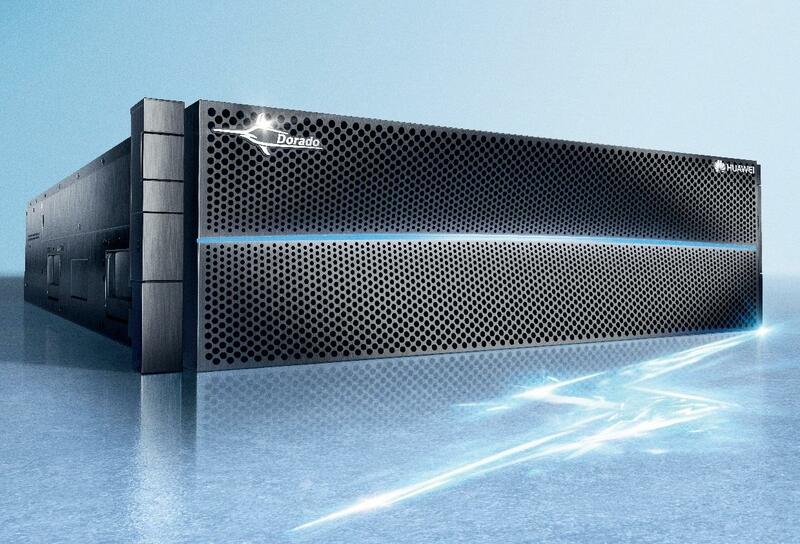 EMC XtremIO, PureStorage M series, and the newly released Huawei OceanStor Dorado V3 are among the current stand-out products. Moreover, Huawei and PureStorage both have Released NVMe All-Flash Array. NVMe stands for non-volatile memory express, a transmission specification developed by a work team comprising personnel from over 100 companies. Normal SSDs cannot keep up in terms of throughput for particularly high I/O-intensive applications (like massive databases), which is where NVMe comes in to deliver unprecedentedly low latency and higher peak rates. NVMe provides a standard access method for flash able to leverage the low latency and concurrency capabilities of Peripheral Component Interconnect Express (PCIe) channels and the concurrency capabilities of modern processors, platforms, and applications. With forecasts pointing to enterprise acceptance of fourth generation all flash solutions Huawei’s 12 years of research into flash technology have culminated in a new family of AFAs. Back in March 2017 Huawei used its partner conference to announce its new generation NVMe all-flash OceanStor Dorado5000 V3 array. The arrays come complete with non-volatile memory express (NVMe) capabilities. The OceanStor Dorado5000 V3 array is purpose built to carry mission-critical data and incorporates Huawei's proprietary FlashLink technology. Features include on-board I/O priority scheduling adjustment, large block sequential write, global garbage collection, and other utilities to achieve predictable 0.5 ms latency. Pairing up with the Huawei HyperMetro gateway-free array active-active solution achieves six-nines (99.9999%) reliability, ensuring mission-critical enterprise applications remain online 24/7. One of the main barriers to enterprise wide adoption of all flash solutions was of course price. Early advocates of all flash technology pointed to operational efficiency gains – no more powering spinning disks with expensive carbon footprint heavy electricity – flash arrays are 80% more power efficient than HDD systems. For early adopters the power and cooling efficiency argument went some way to helping offset the high capital cost per GB compared with HDD solutions. Today those same efficiencies are cited as advantages for those locating their storage environments in third party commercial data centres. In capital outlay terms at least one market watcher believes flash and HDD price parity is approaching rapidly. Growing supply and technology advances are expected to continue to push prices down. “Continuing cost declines, coupled with flash-driven data reduction in primary storage environments in particular, should have the effective cost per gigabyte (the cost when factoring in storage efficiency technologies like data reduction) of enterprise-class flash media actually lower than 10,000rpm and 15,000rpm HDD raw capacity costs by the end of 2017 for most primary storage workloads,” says IDC’s Worldwide Flash in the data center Taxonomy, 2017. IDC's Worldwide Flash in the Datacenter Taxonomy, 2017 Market numbers also point to growing take up. In Q4 2016 all flash array shipments generated almost $1.7bn in revenue, up 61.2 per cent y-o-y. Applications such as cloud computing, online payments, mobile, social networking and other real-time interactive applications rely on the performance levels which can only be delivered through flash. These new applications can be prone to data surges which cause unpredictable capacity demands requiring responsiveness and immediacy from storage equipment in the data centre pointing to flash as being the only viable solution. As all businesses become digital all flash arrays are moving into the mainstream as the first choice primary storage solution for a growing number of enterprises.